Aaron joined the Friends board in 2000 and has served as secretary, VP, President, Executive Director, and Trailblazer Race Director. He worked 2 decades with Hewlett Packard, several years as a teacher, and now is a hospital X-ray tech. Personal interests include bicycling, skiing, backpacking, photography, and international travel. Michelle Hocker has over 15 years of experience in the High Tech industry working as an Engineer and Marketing Executive. She also is an Entrepreneur and started her own company in 2007. She grew up in Silicon Valley, and put herself through Engineering School at San Jose State University. She has a B.S. Degree in Industrial and Systems Engineering and an A.S Degree in Interior Design. Michelle is passionate about community issues and serves on a non-profit Board of Directors. She is a creative soul who enjoys sharing her artistic talents and work experience to help organizations achieve their goals. 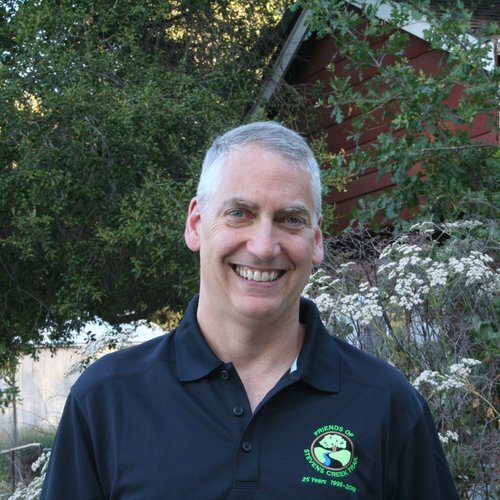 Tim is a Sunnyvale resident (since 1989) and a passionate bicycle, environment, and sustainability advocate. He believes in balancing human and environmental needs -- we need more walkable and bikable communities to reduce the use of fossil fuel, get exercise, meet our neighbors, and have fun! Tim, his wife, 2 boys, and 2 dogs are regular trail users -- bicycling from Sunnyvale to the dog park in Mountain View. Tim looks forward to the day when bicycling/walking/running trails ring the bay and the ridges and "spoke" trails connect them along the Stevens Creek corridor and other routes. In addition to bicycling and family time, Tim enjoys hiking, X-C skiing, sci-fi, and AYSO soccer. 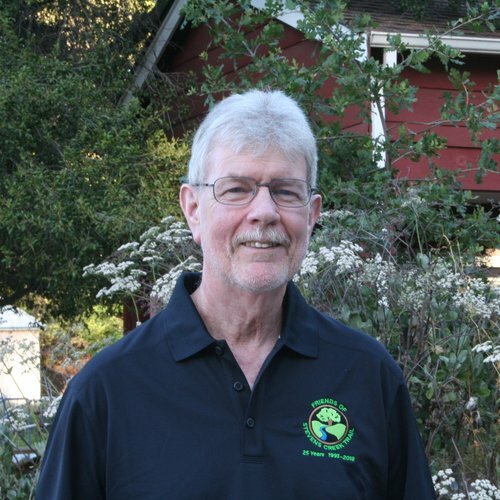 Steve joined Friends of the Stevens Creek Trail in 2014 after many years of being a contributor to the Friends mission. A long-time resident of Mountain View and Sunnyvale, Steve is a retired aerospace engineering manager, former Sierra Club hike leader and regional group chairman (formerly the Black Mountain group), and is currently Chairman of the Thrivent Communities-Silicon Valley charitable arm of Thrivent Financial. Steve enjoys camping, hiking, cooking, biking and traveling with his wife Susan. He sees board participation as a give-back to the community after years of enjoying the outdoor resources available throughout the area. Anne Ng is a 30+ year Cupertino resident and a bike advocate whose principal vehicle is her bicycle. After years of admiring and enjoying the trail as it grew south through Mountain View, then supporting the multi-use trail concept in Cupertino, she finally joined the board in time to celebrate the opening of Cupertino's first stretch of Stevens Creek Trail in 2009. Anne also indulges in recorder playing and taiko drumming. Garth has been running on the Stevens Creek Trail and in the Trailblazer race since 1997 when he lived in downtown Mountain View. Since moving to Sunnyvale in 2002, he has hoped to see the trail move closer to his new neighborhood. Garth joined the board in 2007 to take an active roll in moving the trail upstream. In addition to running, Garth enjoys golfing, swimming and spending time with his wife, Pamela and their two daughters, Charlotte and Kaitlyn. 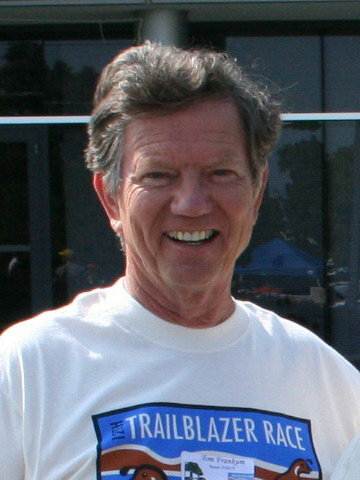 John began volunteering for the Friends Trailblazer Race in the late 1990's. In 2001 he joined the board and has since served as board secretary and board president. A Mountain View native, John and his wife Libby Dresel live in Mountain View. John works as the Bike/Ped Program Coordinator for the City of San Jose. Husam follows his sister, Sarah, in serving on the Friends board as an associate board member and taking care of our social media Twitter activity. He attends Monta Vista High School in Cupertino in the class of 2019. He became interested in joining the Friends board after volunteering with us at our Art & Wine festival booth and Trailblazer race and is enjoying developing his team building and leadership skills. 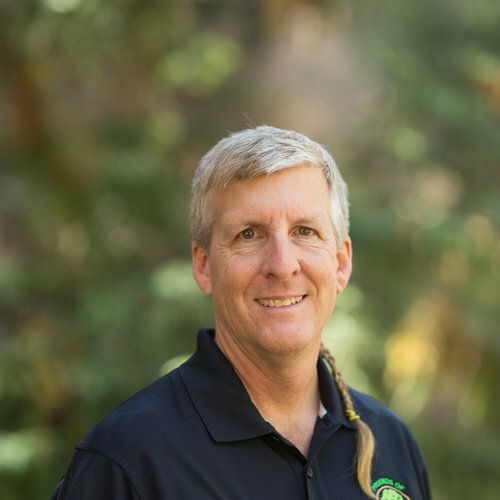 Ross Heitkamp joined the Friends of Stevens Creek Trail in 1998 after hearing about the possible extension of the trail into his Mountain View neighborhood. What started as an unofficial website for the trail extension became the official job for developing and maintaining the Friends website. Ross has served off and on as president, secretary and treasurer. Ross used to inline-skate on the trail, but now mostly bikes with his family. His other activities include teaching kids animation, road and mountain biking, skiing, and playing ukulele. Phillip joined the Friends board as an Associate Board Member after meeting us and then volunteering with us at our Art & Wine festival booths. He has also been the finish-line announcer at our annual Trailblazer Race. He is a student at Monta Vista High School class of 2018 where he plays on the Water Polo and swim teams. In his past work he has been a sailing intern at Shoreline Lake. He is eager to create more bikeways and improve the safety of biking around town and to/from school. 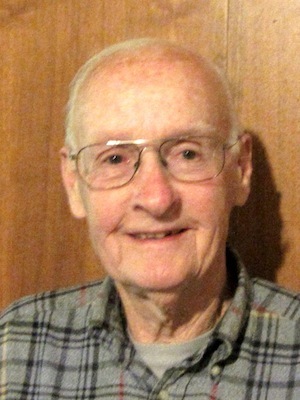 Alan Ross is a twenty-five year resident of Mountain View involved with the Friends for thirteen years. He also worked with the Trail Center in Palo Alto for a number of years building and restoring local trails. He enjoys camping, hiking, and water sports and his hobbies include photography and travel. He graduated from the University of Phoenix and currently works in Mountain View in sales and technical support for a high- and ultra-high vacuum supplier. Sorry, I haven't written my bio yet. Please check back later. When his children grew old enough to start riding bicycles, it rekindled Scott’s interest in cycling. The trail was the perfect environment for them to learn to ride and to explore nature. Their growth coincided with that of the trail, as Mountain View extended it further and further south. Even without the kids, he enjoys riding the trail as an antidote to the hectic pace of Silicon Valley. A serial entreprenuer, Scott lived for a decade in Mountain View and now resides in Los Altos. Scott also enjoys hiking, skiing, windsurfing and travel. Greg joined the board after his 2011 retirement as an aerospace engineering manager. He has been a frequent runner in the Trailblazer Race since the mid-90's and makes frequent use of the trail for running and biking. Additionally, he enjoys sailing, kayaking, swimming, skiing, and hiking. Greg has lived in the valley since 1980 and in Mountain View since 1998. He is married to Pamela Baird, who is his best workout partner. Greg also has two grown children who live in far northern California. 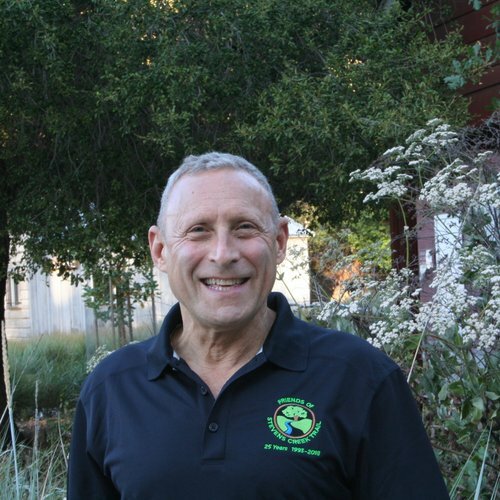 Greg was a member of the Mountain View Environmental Sustainability Task Force and is a member of the Moffett Field Restoration Advisory Board (RAB) and the Mountain View Bicycle/Pedestrian Advisory Committee. 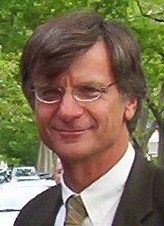 Kevin was the city manager in Mountain View from 1990 to 2011. Thus, he oversaw the development of the Stevens Creek Trail from its beginnings out at Shoreline Park through to its crossing of Highway 85 to land at the corner of Dale Ave. and Heatherstone Way. A journey of about 5 miles over 22 years. Upon retiring from his city manager position, Kevin, an avid jogger, said "To build a trail is good, but to build a trail and walk or run on it as a citizen is even better." 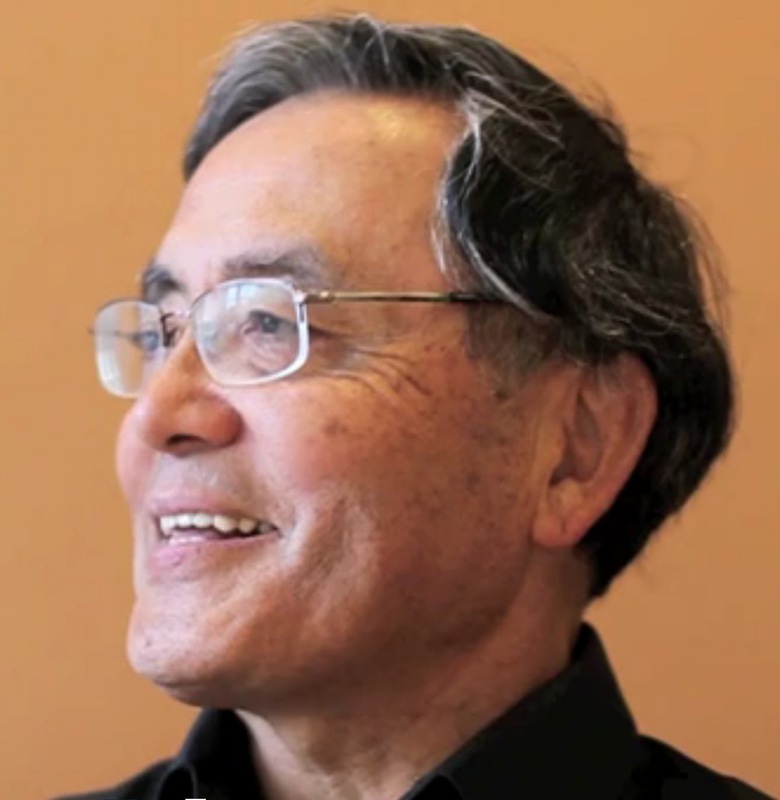 Art Takahara is one of the founding members of the Friends of Stevens Creek Trail and has served on the Board of Directors continuously since its founding in 1993. Art was instrumental in making the Stevens Creek Trail a priority in Mountain View when he served on the City Council and as Mayor. During that time, Mountain View developed its first feasibility study and plan for the trail and built the Reaches 1 and 2. Art is an active runner and hiker and has run in all of the Trailblazer Races. 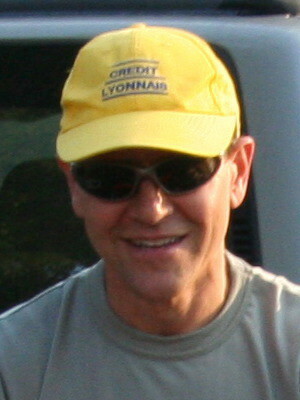 Roy joined the Friends Board of Directors in December 2004. He was elected vice president in June 2005 and president in December 2006 and served as president for 3 years. He lived in Mountain View for 38 years, but had to give up his work with the friends when he moved to Aptos. He still enjoys biking on the trail as well as many other outdoor activities. Semi-retired after 26 years in corporate communications, he now works as a communications consultant. He is married with two grown daughters. Rhonda Sherber, along with Art Takahara, founded the Friends of Stevens Creek Trail in December 1992. For the following 7 years she served on the board of directors and in various other positions including President and Trailblazer Race Director. Rhonda's energy and enthusiasm was amazing and she was a magnet for drawing people into the trail movement. 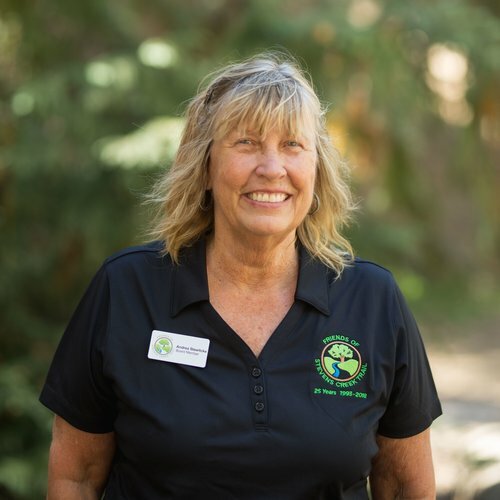 She left the Friends in 1999 when she and her family moved to San Diego, though she has kept in constant communication and been back to enjoy most all of the continued successes of Stevens Creek Trail. Kathy is a long-time downtown Mountain View resident. She has been on the Friends of Stevens Creek Trail board since 2001? and has served as secretary and vice president during that time. She regularly runs in our Trailblazer Race. 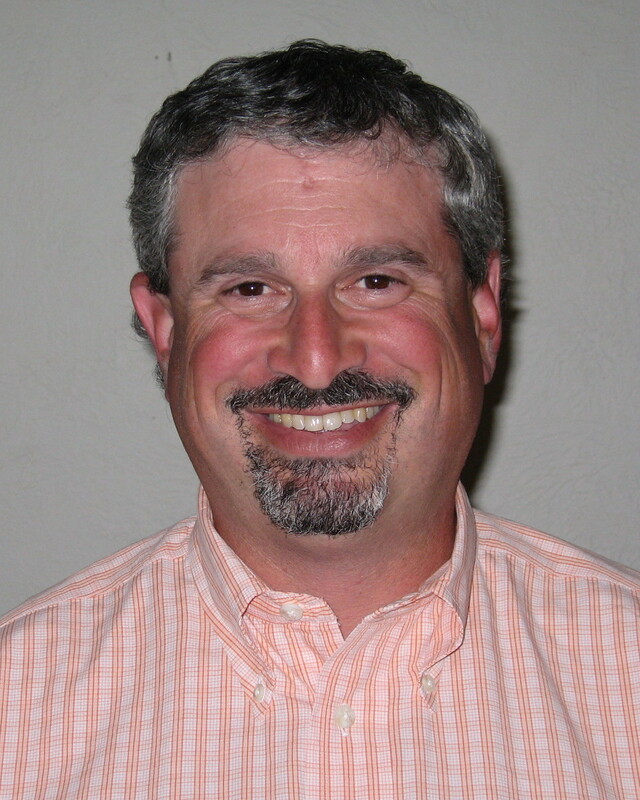 Tom Bornheimer joined the Friends of Stevens Creek Trail board in 2000 while he was living in his hometown of Los Altos. Tom now lives in San Francisco and works for Kaiser Permanente in Oakland. Personal interests include running, skiing, hiking, travel and photography. Geoff's childhood on a ranch in the Palo Alto foothills gave him a deep love of the out of doors. 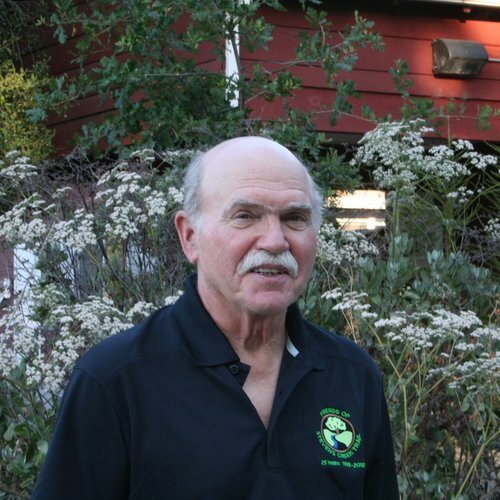 He has worked as a park ranger, open space planner, and public health manager before retiring. He has managed his family's 380-acre forest in Mendocino County for 26 years. 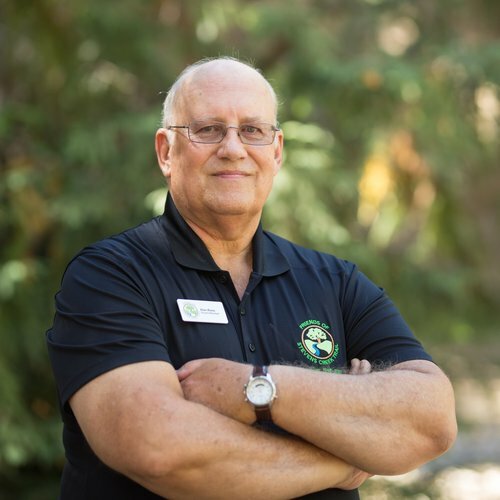 Geoff is Vice-Chair of the Cupertino Recreation and Community Services (formerly Parks and Recreation) Commission and on the Board of two other nonprofits: Canopy (tree planters) and the Bay Area Section of the Mercedes Benz Club of America. He enjoys prescribed burning, hiking, bicycling, writing, history, church leadership, and tinkering with old Mercedes cars. He and his wife, Janine, a school nurse, have four adult children. Geoff holds a B.S. in Natural Resources Planning and Interpretation and a Masters in Public Administration. Meghan has been a member of the Board since December 2010, but a fan of the Friends for much longer. Meghan is a Sunnyvale native and has been using the Stevens Creek Trail since she was little. Now, she often bikes along the Trail or walks her beagle, Maddie, on weekend mornings. She originally became acquainted with the organization and their mission when her father, Fritz Stawitcke, encouraged her to come out to a creek clean up activity. Meghan is passionate about raising awareness of the Stevens Creek Trail among her peers and spreading the message through wider mediums, especially using social media to further the mission. She is very excited at being a part of an organization that works to get people outside and interacting with the environment in which they live. In her free time, Meghan enjoys swimming, softball, golfing and kickball. Bridget Steele is a Los Altos resident and joined the board of Friends of Stevens Creek Trail to get involved in promoting the use of the trail and exploring trail extensions and connections throughout her community. Bridget has daily access to the trail which runs directly behind the Microsoft Silicon Valley campus in Mountain View where she works and enjoys participating in the Trailblazer Race and weekend bike rides on the trail with her husband and daughter. Bridget and her family also enjoy biking and hiking through Rancho San Antonio and being active in the St. Simon school and parish communities. Joe is a long time cyclist who served on Cupertino's Bicycle Pedestrian Commission for many years and represented it on the VTA Bicycle Advisory Committee. His interest in cycling came thanks to his daughter, at age 8, asking him to quit smoking. He responded to the urge for a cigarette by pumping up the tires of an old bike in the garage and riding aroudn the block. As Joe reports "Upon dismounting, I discovered that my longing for a cigarette was completely gone. That week I bought a 10 speed, and in a matter of days had completely transferred my addiction to cycling." He has racked up over 18,000 miles since then! Fritz was an R&D engineer and a Sunnyvale resident since 1980. 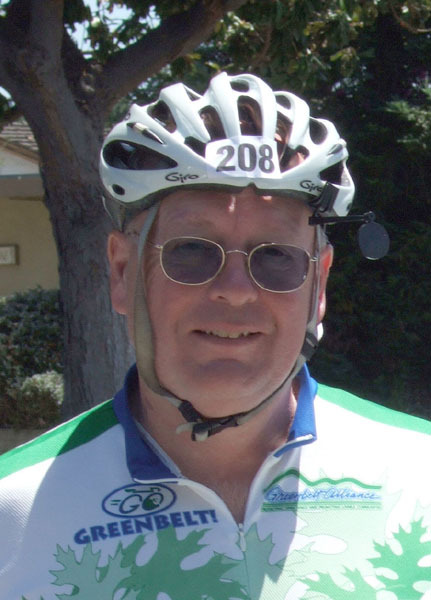 He enjoyed recreational bicycling around the Santa Clara Valley and Baylands, and believed the Trail would provide a richer life for all of us as well as a legacy for our children. He saw the process of bringing the Stevens Creek Trail through Sunnyvale as a community-building opportunity, and that the experience of residents working together would build habits & friendships that would serve us all well in a future with many more challenges. Fritz passed away suddenly at the end of 2010, but his memory and vision live on. William Symons is married with two young Children. He works as a technician at BMW of Mountain View and also as an indoor cycling instructor at the YMCA. His home is in Mountain View adjacent to Stevens Creek, but he became familiar with the trail when commuting to work from his previous home in Redwood City. He and his family really enjoy the outdoors. You will often find them on the Stevens Creek Trail cycling, scootering, skating, or skateboarding. Billy feels strongly about trail advocacy, and the benefit of trails for safe fun, exercise, and alternative commute options for ours and, especially, future generations. He joined the Board in 2006 to support the trail and its expansion, and to offset the opposition voiced by a few of his neighbors, whom he feels are mistaken in the belief that the trail is not beneficial to the neighborhood. Jeannie Bruins is a south Los Altos resident. In 2006, she responded to the call for resident participation in Los Altos's Stevens Creek Trail Feasibility Study and ended up becoming co-chair of the Task Force. 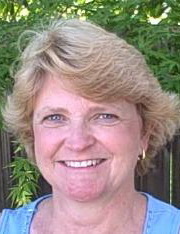 In 2008, she joined the board of Friends of Stevens Creek Trail. But Jeannie and her family's enjoyment of Stevens Creek Trail goes back much further. When her two sons were old enough for a "long bike ride", they would take Stevens Creek Trail out to Shoreline Park. Her older son later used the trail to commute to his internship at Microsoft. Jeannie looks forward to seeing the Stevens Creek Trail and Wildlife Corridor extend to the Los Altos border and on to Cupertino and, ultimately, achieve the complete vision established over 40 years ago. 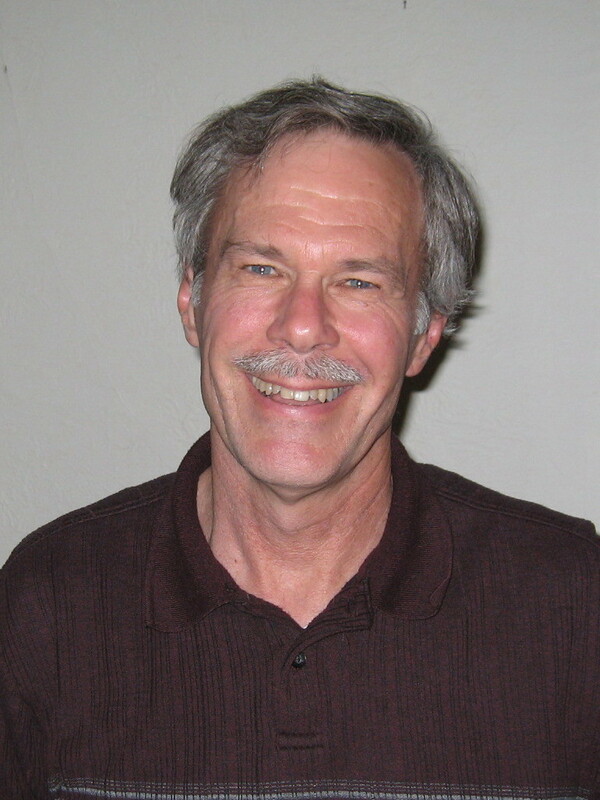 Tom Cronin joined the Friends of Stevens Creek Trail as the Executive Director in July 2006 and served through September 2007. 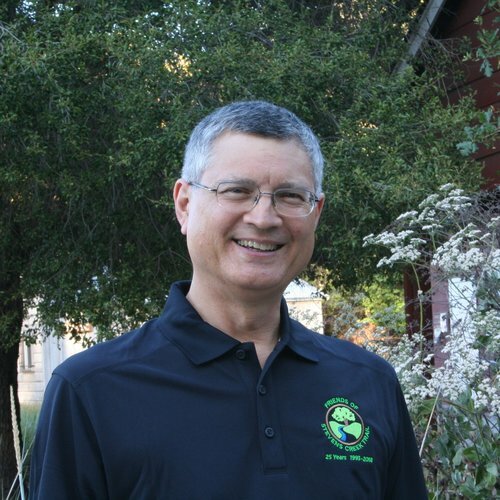 Previously he has served as an Organizational Consultant for Earthome - Hooked on Nature, Executive Director at Committee for Green Foothills, and Program Director at Foundation for Global Community. This all follows a long management career with Hewlett Packard that ended in 2002. Tom first discovered Stevens Creek Trail years ago and used it extensively for training for running races and marathons. Tom Frankum had a long tenure with Friends of Stevens Creek Trail before moving south to San Diego. During his time, he served as President and was always eager to speak around town to any of the groups that might be interested, including the Rotary, Kiwanis, or Leadership groups. Tom was not alone in his volunteer work to support the Stevens Creek Trail, though. His wife, Jan, was usually along to help staff the Friends booth at Art and Wine festivals, trail work days or other events. Jan also served as the Head Volunteer coordinator of the Trailblazer Race for several years. Shreyas Bharadwaj currently attends Lynbrook High School in West San Jose, class of 2012. He enjoys photography, mountain biking, classic literature, and piano. In his free time he likes to listen to music & read. When he graduates from high school, Shreyas hopes to attend Johns Hopkins University, UCLA, or UC Berkeley and pursue a career in the medical field as a neurosurgeon. 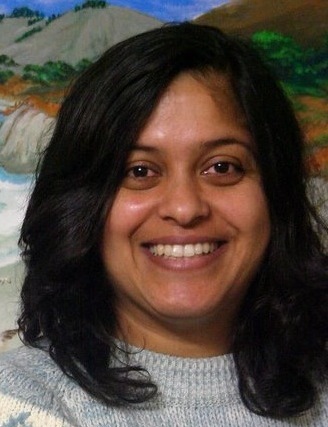 Deepa Kollipara joined the Friends of Stevens Creek Trail as an Associate Board Member in 2007 when she was a sophomore at Monta Vista High School. Her passion with biking and biology drew her to the Stevens Creek Trail. As time went on, she became more interested in the environment and began to volunteer at the Trailblazer race where she got acquainted with the Friends. 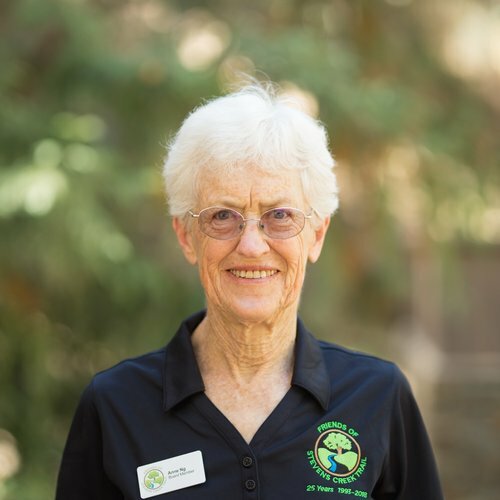 Her goals are to make the trail more accessible to students and to promote the rich wildlife that is so essential to the trail. Also, she hopes to promote the trail and get it into the public eye of students and residents near the trail. In her free time she enjoys playing badminton, biking on the trail, volunteering, and tae kwon do. 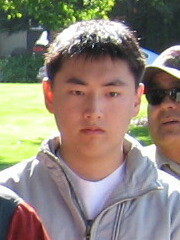 Christopher Lee was a high school junior at Monta Vista High School in Cupertino when he joined the board of The Friends of Stevens Creek Trail in 2005. 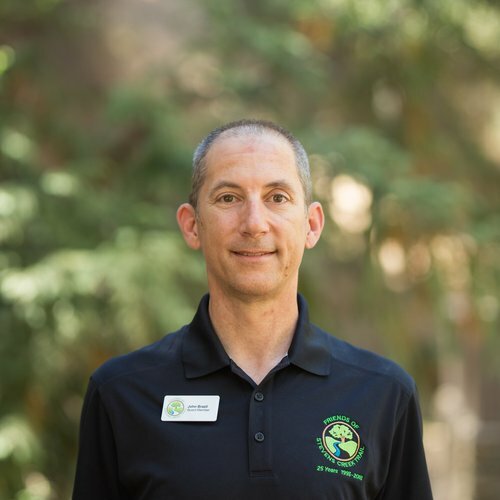 Chris's passion for environmental biology and his desire to make a physical difference in the environmental world drew him to The Friends, and his position as an associate board member. In his spare time he enjoys riding his bike and hiking on and off the trail. Chris looks forward to the trail's extension into Cupertino, and hopes that trail brings the city as much gratification as it has brought to Mountain View. Joe served on the Friends Board of Directors in 2007 and is still enthusiastic about the trail's potential for both recreational and commute uses. 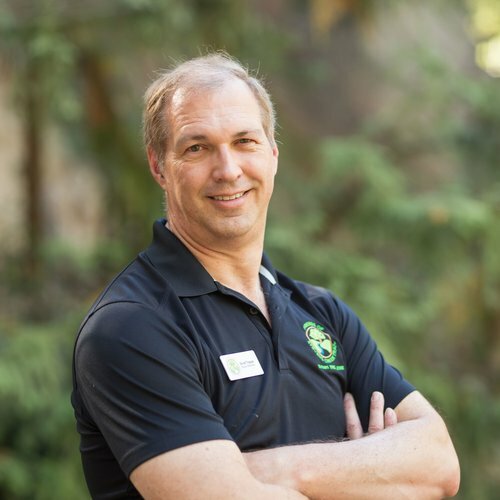 Following a finance career at Oracle, Hewlett-Packard, and Stanford University, he now serves as a volunteer in various capacities within the Mountain View Whisman School District and other communty organizations. He has lived in Mountain View since 1991 and is married with a son and twin daughters. 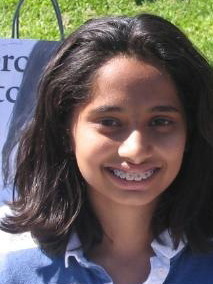 Deepti's training in urban and environmental planning is what first drew her to the race in the summer of 2006. She was quickly drafted to help with the Trailblazer Race as a volunteer coordinator. Since October 2007, a new baby boy has been keeping Deepti and her husband busier than usual. In 2008, Deepti took on a staff position to help out the Executive Director in the office and with record keeping at meetings.